ConditionExcellent condition, very minor repair spot in the back. 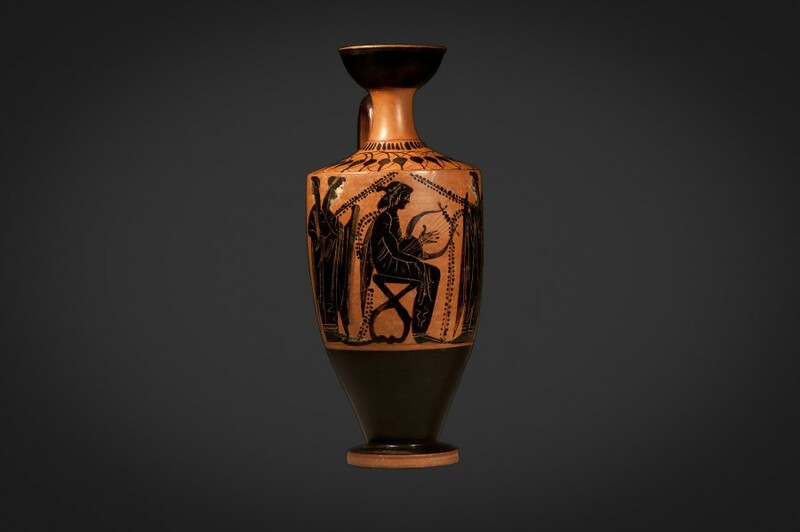 A Lekythos is a type of Greek pottery used to store oils, the most common type being olive oil. 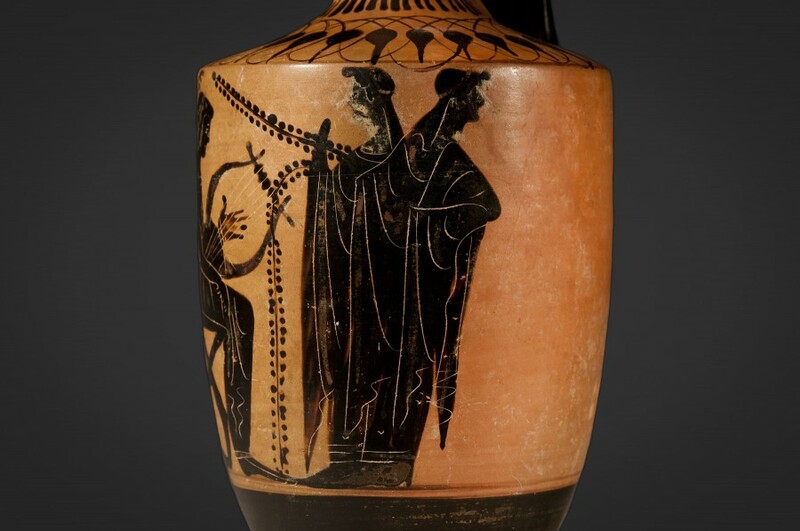 This beautiful Lekythos comes from Attica, an ancient region in eastern Greece near Athens. 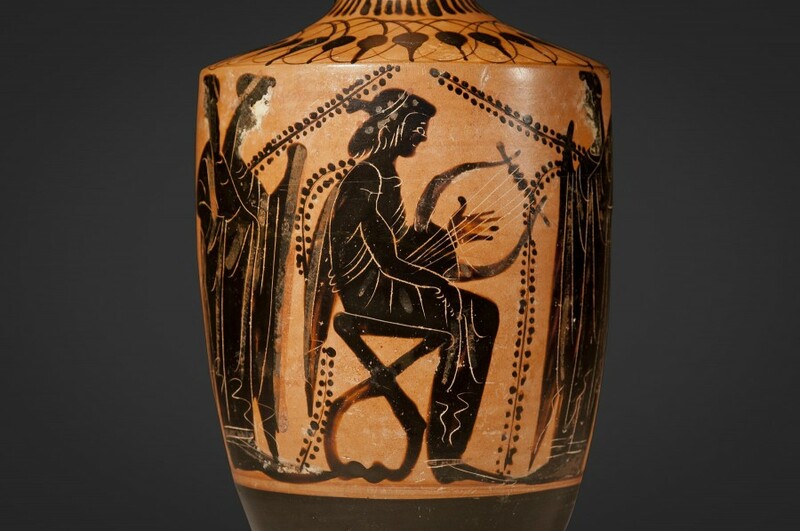 There is a scene on this vessel’s body depicting a seated Apollo playing a lyre as two women stand behind. One woman looks on while the other has her head turned away, possibly indicating the conflicted nature of a critic towards the arts. 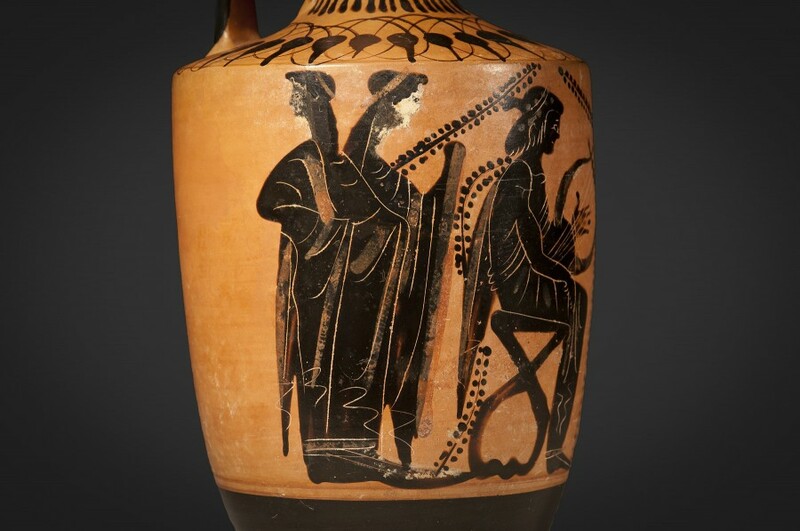 The fine artisanship of the scene on the vessel’s body is heightened by the patterns just below its mouth. 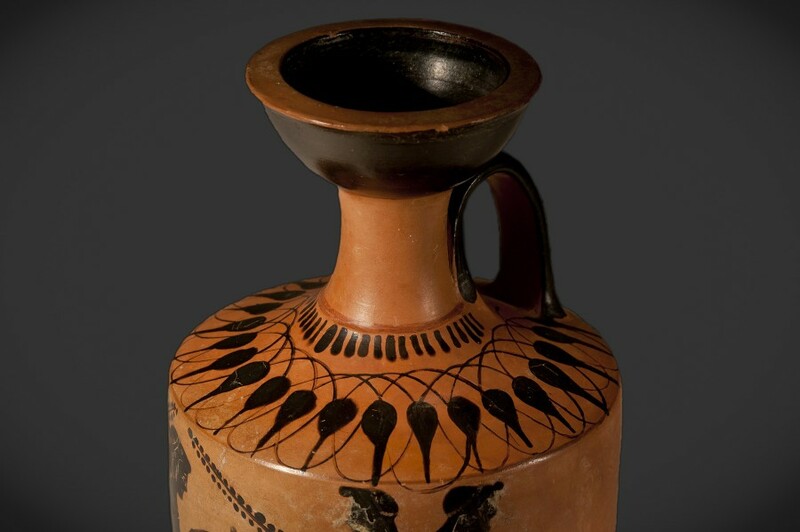 The piece is quite old and dates from approximately 600 B.C.E., a period when Greek pottery had reached a height of style of form.